This item is an image. It was created by an unknown creator on or around the date published: 1924. Souvenir programme for a "Grand Naval & Military Pageant. 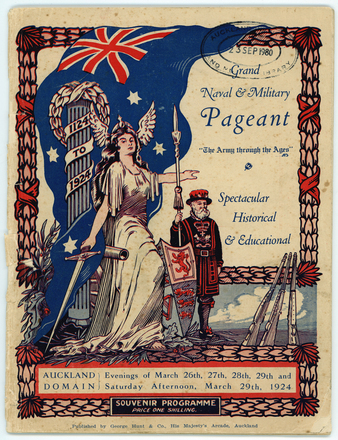 Held at the Auckland Domain, March 1924. Proceeds in aid of the Auckland Military Sports Association.